What Are Some Common Issues with Invisalign? Some patients view Invisalign aligners as cumbersome. Patients will have to remove the trays before eating as well as brush their teeth after each meal. However, this is often preferable to the non-removable traditional metal style of braces. During Invisalign treatment, the patient has the choice to remove the aligners, and consequently the choice as to when to replace them. Patients should not remove the aligners for longer than 2 hours per day for the treatment plan to stay on track. Additionally, loss or damage of the aligners can occur when removed, which is one of the most common issues with Invisalign. Patients should keep the aligners in their protective container when not in use. 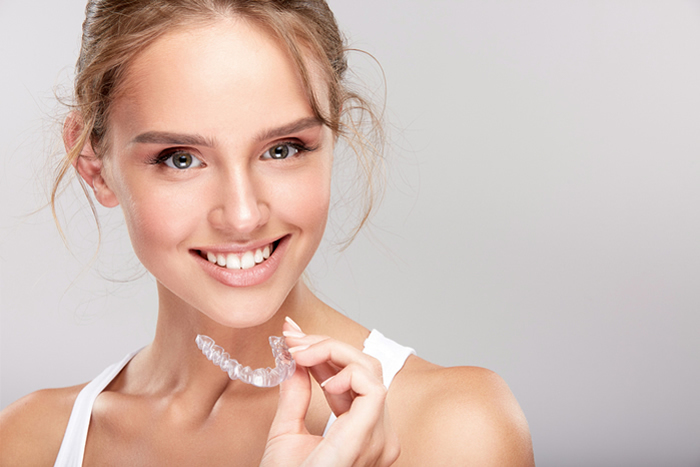 Invisalign, like most orthodontic treatments, requires pressure from the aligners to move teeth into desired position. This pressure can cause some mild discomfort, but it usually abates within a couple of days. Mild discomfort is another of the most common issues with Invisalign, however it is easily treatable. 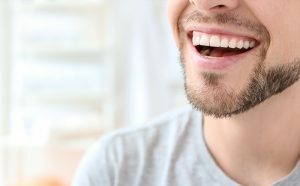 Most patients with Invisalign will need attachments, and while this isn’t a drawback in comparison to fixed braces – which have brackets – it can frequently come as a surprise to patients. However, attachments needn’t be seen as a the common issue with Invisalign; they are simply a part of your orthodontist’s planned treatment schedule. Attachments are small dental bondings the same colour as a patient’s teeth. Your orthodontist will shape these attachments individually to promote the movement of teeth in a specific direction. An orthodontist will apply the bondings to particular locations on the patient’s teeth, seeking to offer an anchor point for the aligner. Attachments also aid in precision and efficiency of overall treatment. The number of attachments will vary depending on your individual treatment plan and severity of your case. While numerous people find clear aligners highly convenient, there are some common issues with Invisalign. Remember, what works for one individual might not work for you. Consult a specialist at Medland Orthodontics in Brisbane or the Gold Coast to discuss the types of invisible braces and whether Invisalign is the best solution for straightening your teeth. Maddie is a Treatment Co-ordinator and Orthodontic Dental Assistant at Medland Orthodontics, with over 8 years of experience. Having qualified as a Dental Assistant in 2010, Maddie worked in general dentistry for two years before realising her passion for orthodontics and took the opportunity to join the Medland Orthodontics team, where she has the pleasure of meeting new patients every day. Maddie has also completed further study in Dental Radiography, and has been fortunate enough to have attended numerous courses in Australia to stay up to date with the latest technology in modern orthodontics. Maddie has gained a wealth of knowledge and experience over the years and is a strong advocate for continuous learning. Working alongside each orthodontist to achieve beautiful smiles for patients - which for some is truly life changing – is one of the aspects of Maddie’s role that she values most highly. When not at the Medland Orthodontics practice, Maddie can be found enjoying the beautiful southern beaches she calls home and spending time with family.